For years, headlines have chronicled the depressing downfall of brick-and-mortar retail. In fact, many of the most recent casualties of the so-called ‘retail apocalypse’ are huge names—Brookstone, Nine West, and Mattress Firm, to name a few. People assume the success of Amazon, Walmart.com, Target.com and other virtual sellers has made it impossible for physical stores to thrive. With cheap deals, fast shipping and hassle-free returns, online shopping is remarkably convenient. But when it comes to disappearing department stores, is ecommerce really to blame? Actually, CRE researchers say the culprit is much closer to home. Today’s shoppers have forced sellers to embrace a multichannel approach, which goes beyond social media, mail marketing, mobile access and the online experience. They’re now demanding seamless continuity into actual, physical stores. Research suggests that roughly 850 ‘digitally native’ brands will open in-person stores across America by 2024. Although many states won’t realize the impact, big coastal cities like New York, Los Angeles and San Francisco will see an increased number of showrooms, the majority carrying inventory for purchase. 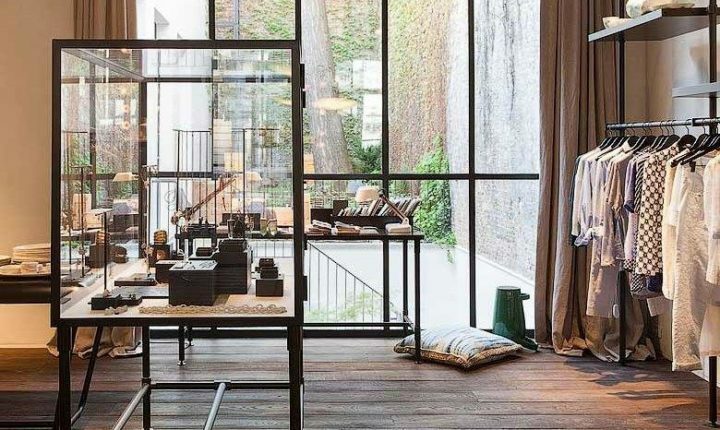 As of 2019, online retailers that experimented with the ‘pop-up’ format have found great brick-and-mortar success. One example is Warby Parker, the online eyeglass giant that opened up shop on Greene Street in SoHo six years ago. Today, the brand boasts over 75 locations across the United States. The trend has also inspired traditional retailers to reinvest in their physical stores. To execute a true omnichannel experience, companies have to align their brick-and-mortar spaces with other brand platforms, from desktop to smartphone and beyond. Investors worried about the online revolution must realize that brick-and-mortar stores still matter. In particular, retailers selling any kind of apparel, accessories or makeup can help differentiate themselves by establishing a physical presence. People want to connect with the brand and interact with products beyond the screen.